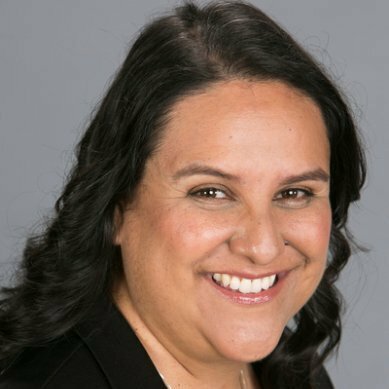 Dr. Verenice Gutierrez is an expert in educational equity for marginalized communities, particularly Latinos. Over the last 20 years, Verenice has served rural, suburban and urban school systems as a principal, graduate school professor and teacher, working in the entire PK-16 and beyond continuum. Verenice is one of a small cohort of W.K. Kellogg Foundation Racial Equity and Healing Fellows. She is an alumna of the Superintendent Academy of the Association of Latino Administrators and Superintendents, and of the Executive Leadership Program of the National Hispana Leadership Institute held in conjunction with the Harvard Kennedy School of Government. Verenice is a proud Texana, born and raised in El Paso, TX where she learned to value bilingualism, and being bicultural and binational. As a first generation Mexican American, she took her responsibility to achieve very seriously, earning a Bachelor's in Business Administration and a dual Master's Degree in Bilingual and Special Education from the University of Texas at El Paso, as well as a PhD in Curriculum and Instruction with a minor in Educational Leadership from New Mexico State University.